Here are just some of the awards and nominations we have received from nationally-recognised financial award bodies. 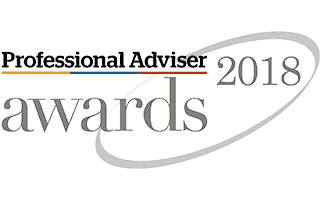 We’ve been part of New Model Adviser’s Top 100 Advice Firms in the UK for three years running. We always strive for excellence within our sector, and this prestigious accolade is one we hope to retain for years to come. We were one of only 12 firms to make the grade in Professional Adviser’s ‘Best Firms to Work For’ 2018 award. Our commitment to our team’s wellbeing, both at work and at home, means we provide numerous schemes, such as Perkbox, Simplyhealth, pension and gym membership, to help our team feel valued and supported. We’re proud to have been shortlisted finalists in Money Marketing’s ‘Adviser Firm of the Year’ category for 2018. Being nominated is validation of everything we try to achieve here at PenLife; client outcomes being at the heart of it all.